I reckon time is something we all wish we had a little more of. Whether it's more time in bed, more time with the family or even more time to just chill out and be on your own. Yeah, I do wish I had a little more time but to spend getting things sorted around the house. I'm currently trying to make more time for some major home improvements but it's proving to be a real struggle right now. I'm quite a hands-on guy and the improvements I am doing would be a lot easier if I could get someone in to actually do them for me, but that's just not an option, it would cost an absolute bomb and I just don't have that sort of money. So I'm searching for time to get it all done myself which means I'm only really getting stuck into it when I take time off the day job - weekends are a struggle too at the moment because Charlie plays rugby both on a Saturday and a Sunday and then combine it all and look at the bigger picture and it means we really don't get to have much family time as a four right now either. 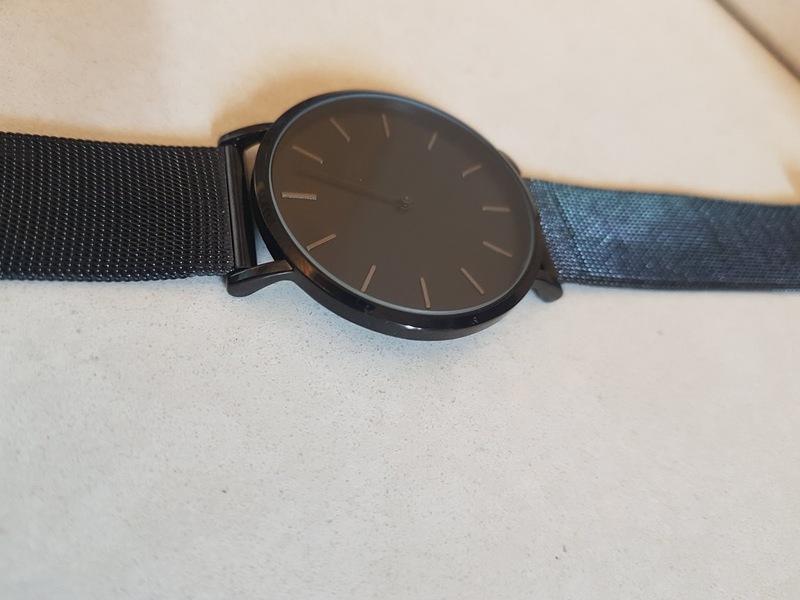 I've not actually had the chance to wear it out yet (what with all that working and DIY type stuff) but I have had it on my arm and it's a really nice fitting watch, it's so lightweight and feels like it is made really well. I was also impressed with how strong and durable it appears and it is made from a very high-quality Japanese stainless steel. 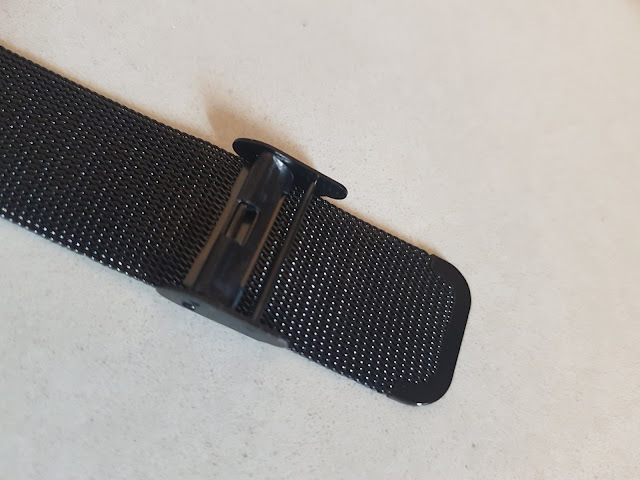 It also has an easy to use adjustable strap, which is awesome, so when my son decides he wants to steal it, it will be easy for me to adjust back to my size. 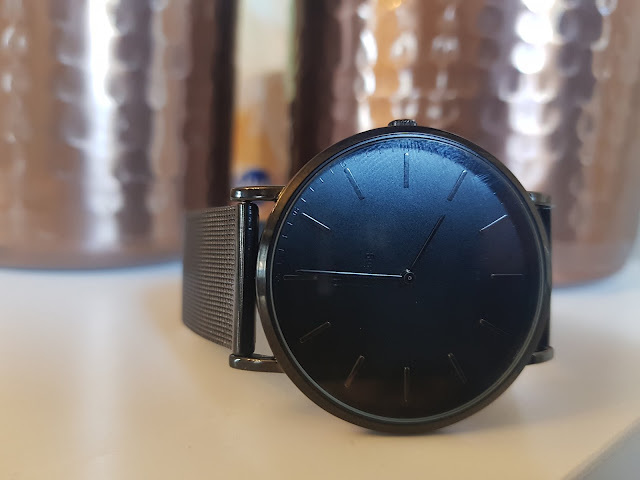 The watch has a nice, plain design and it oozes style and sophistication - it's also a unisex design so it will really appeal to everyone. 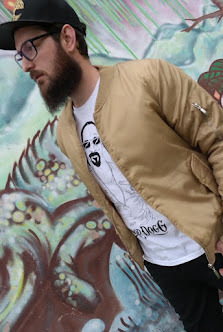 I think it will go well with most outfits I will wear and I'm sure it will be featured in a fair few future fashion blog posts I have coming up too - actually I think I will try styling it with a few different outfit choices so you can see just how versatile it really is. If you have read my blog before then you may know I'm a massive fan of an all black watch. I don't wear a lot of jewellery usually so when I do, I like to wear a watch that feels comfortable and fits well and this is exactly what this AlienWork quartz watch does. Receiving this watch really did make my day so now, whilst I go and outfit plan, it's my chance to try and make your day. How would you like the chance to win an AlienWorks watch for yourself? Well, good news - you can - and all you need to do is enter this brilliant competition using the form below and remember, the more entries you have the more chance you have of winning. So good luck, and if you do win, I hope you like the watch as much as I do. Lovely watch I would love to win it for my dad!